French President Macron promises to work towards forcing web operators to remove hateful content. French President Emmanuel Macron vowed Wednesday to crack down on cyber hate, telling Jewish leaders that a recent law in Germany punishing web platforms which fail to delete hateful content could be a blueprint to follow. 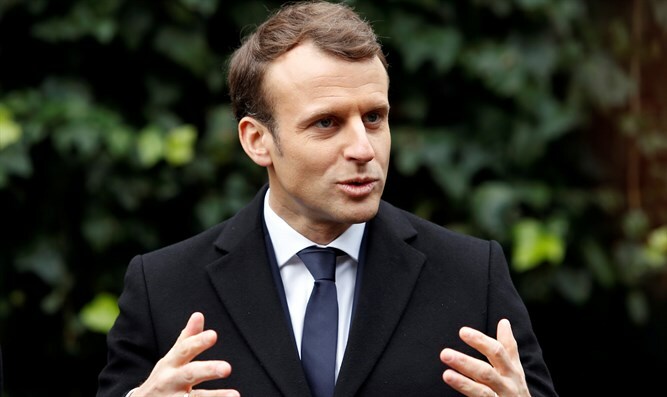 "We need to go further," the French leader told delegates of the Representative Council of French Jewish Institutions (CRIF), an umbrella groups representing France's Jewish communities. A new hate speech law in Germany, he added, was "an inspiring example." That law that came into force on January 1 and requires social media giants to remove hate speech and other illegal content, or risk fines of up to 50 million euros ($57 million). Under the legislation, companies like Twitter and Facebook have 24 hours to remove posts that openly violate German law after they are flagged by users. Germany adopted the measure, one of the toughest in the world, after a surge in racist and incendiary speech online, particularly since the arrival of more than one million asylum-seekers since 2015. Critics of the law say it stifles free speech.